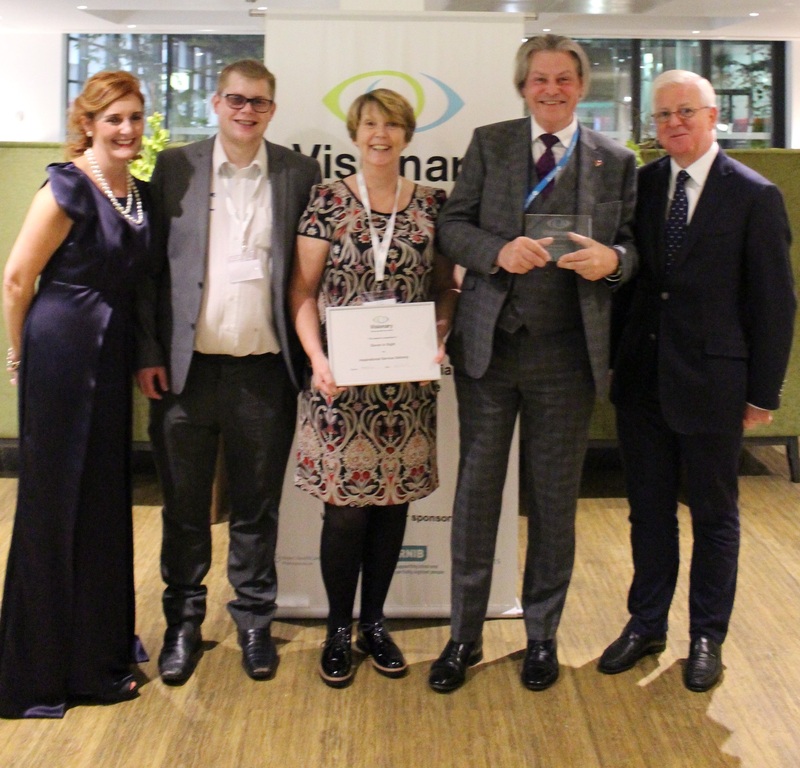 The Devon in Sight team won the National Inspirational Service Delivery Award at the Annual Visionary Conference in Birmingham in November 2017. Visionary is the national umbrella organisation linking local sight loss charities across the United Kingdom. The awards aim to recognise and celebrate excellence in the leadership and management of local sight loss charities and in the quality of service offered. Highlighting local charities’ achievements helps to spread good practice throughout the sector and draws attention to the talent and expertise being brought to bear on charitable activity in the sight loss sector in the UK. Since winning the award Devon in Sight's Sight Loss MOT is now being piloted by a number of sight loss charities and local authorities around the United Kingdom.